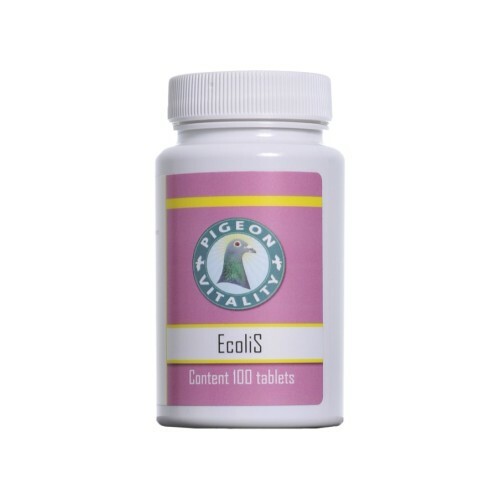 EcoliS 100 Tablets by Pigeon Vitality works against mild E. coli infections in the intestines, during racing season, breeding, young pigeons in the nest and growth. - Preventive: Administer 1 tablet every 7 days, ideal for young pigeons. - Treatment: Administer 1 tablet twice a day until the stools are firm and normal. 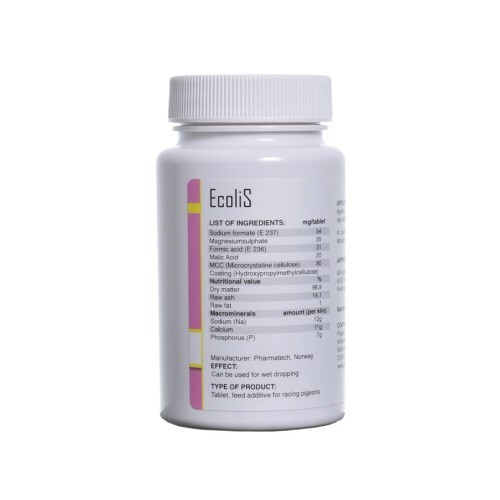 - In the racing season, 1 tablet before the basket and when returning from the race to minimize the risk of E. coli infections.